How does MiniCRM help CEOs? Take control and assign tasks easily to your employees. Sell something again to a customer who has bought something from you previously. 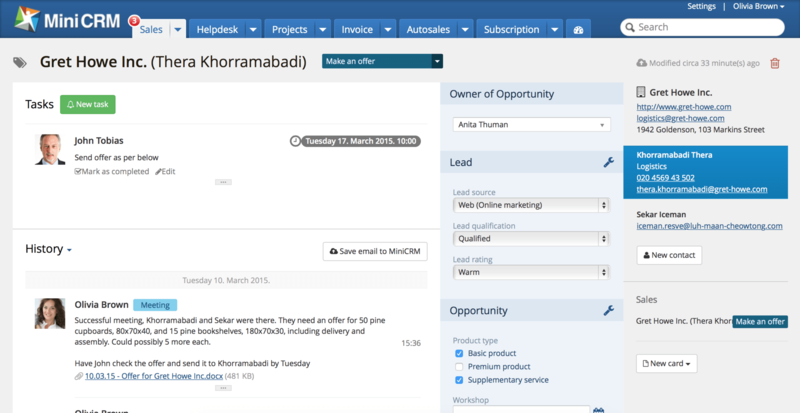 Follow the offers with automatic emails and tasks assigned to your colleagues. Convince your customers about the advantages of a more expensive or additional product. Check the efficiency of employees in reports: how many customers they have, what their closing rates are and how long it takes on average to close the sale. Store details in MiniCRM about what, when and with whom you have talked. Attach documents (e.g. offers, contracts) and archive important emails. Tip: Access MiniCRM from your tablet or smartphone. 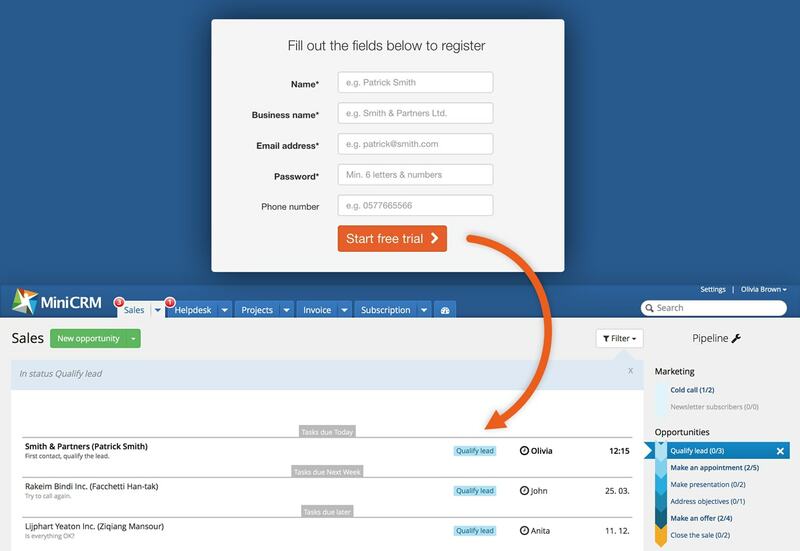 Tip: Manage your helpdesk in MiniCRM to measure customers’ satisfaction. 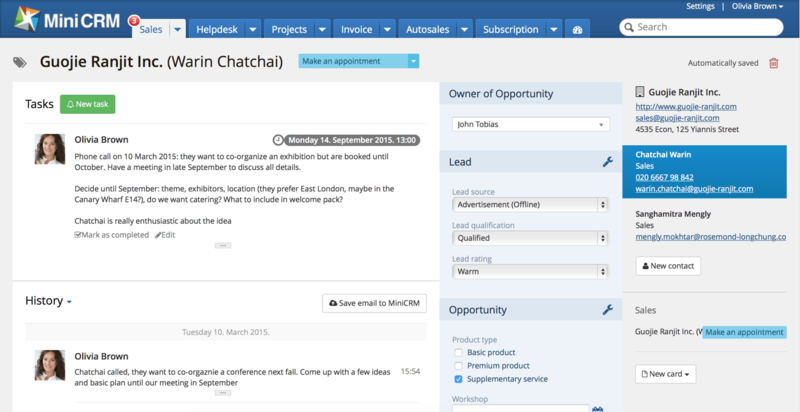 Log into MiniCRM to see in the tasks which projects your employees are currently working on. 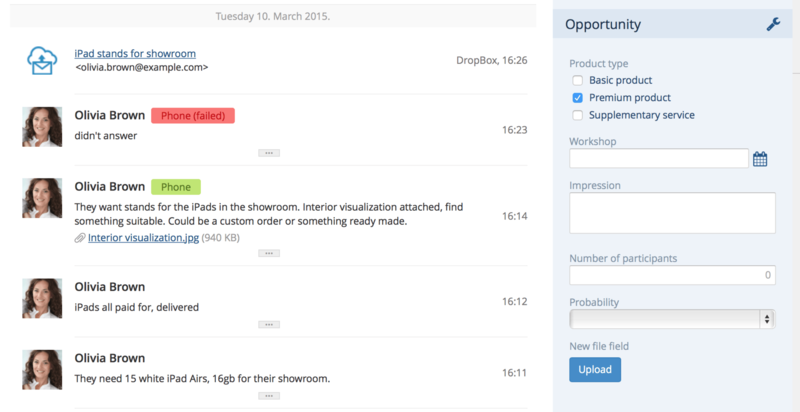 Tip: Filter cards of an employee to see the customers and tasks belonging to them. Create tasks with deadlines and add tasks to history by closing them. This way you can manage your time efficiently. Also, later on you will know exactly what you talked to your customers about previously. Tip: Sync MiniCRM with your favourite calendar application on your phone so it will remind you about your upcoming tasks. Check in reports how much time your sales representatives spend on talking to leads who won’t become customers. Tip: In statuses you can see how many prospects your company has at the moment. As CEO, you face many challenges. Your tasks get more complicated as the company and the number of employees grow. 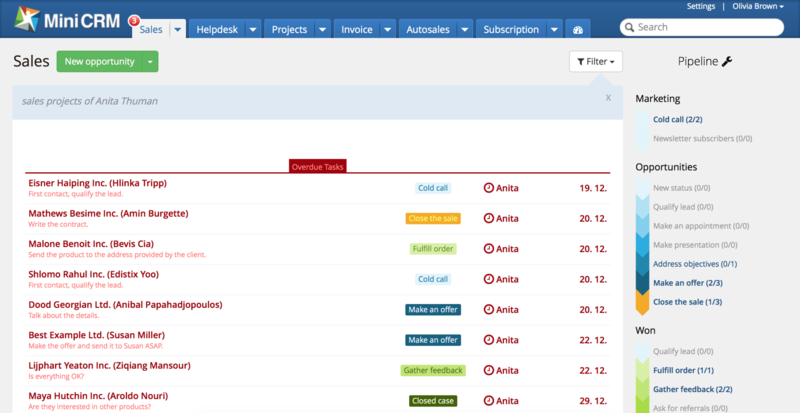 MiniCRM reminds your colleagues about the important tasks, helping you create order in your company. Get rid of the stacks of paper and spreadsheets: move your company into a standardized system in which your employees can work easily too. See what your employees work on exactly and with what results. Assign tasks to colleagues that they can complete so you can concentrate on the really important things.